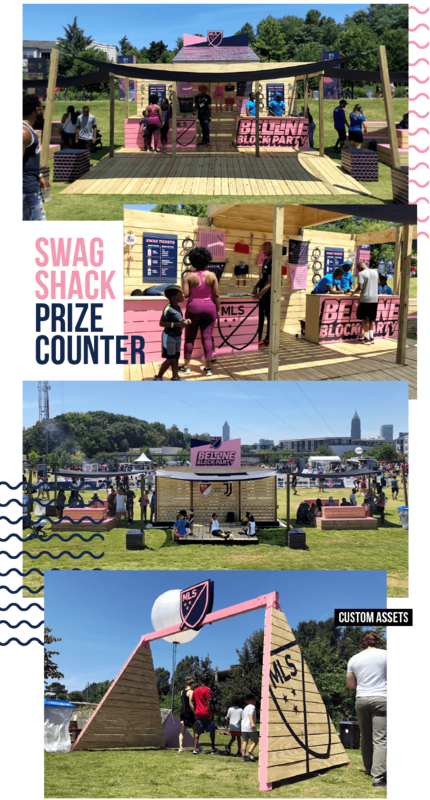 We helped kick off All-Star Week in Atlanta by bringing to life the first ever MLS Block Party on the Atlanta Beltline. 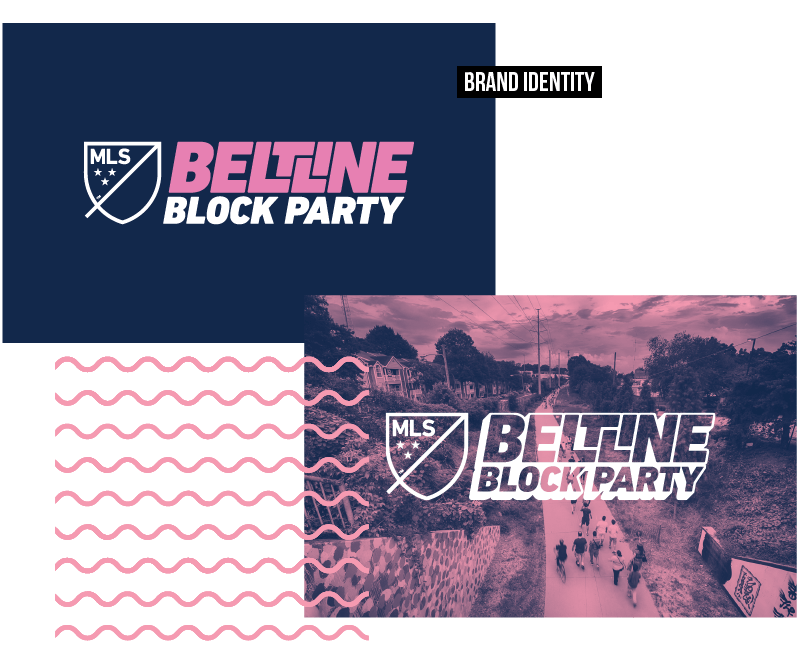 Create the brand for the MLS Beltline Block Party, a star-studded kick off party to the 2018 All-Star Week in Atlanta, Georgia. We married the MLS brand aesthetic with local Atlanta flavor by pulling inspiration from the street art of the Atlanta Beltline, a brand new pedestrian patch just minutes away from downtown. We introduced a brand toolkit comprised of a variety of logos, patterns and a memorable blue & pink color scheme that was brought to life through striking signage, merchandise and promotional materials. We also created a variety of culture-forward swag and merchandise for the event, from socks and bandanas to park-friendly essentials like picnic blankets and frisbees. Our jerseys adorned the celebrities in a promotional soccer match headlined by Atlanta’s own Waka Flocka Flame.